We’re quite excited about this new contest going on right now, because the main prize involves a date with George Clooney. Oh yes, you read that right. 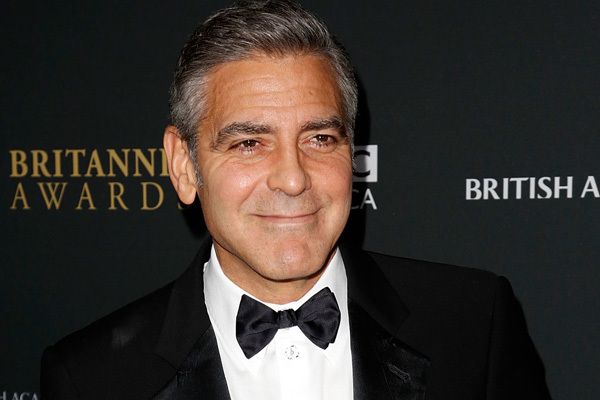 We’ve all dreamed about a date with George Clooney at some point… Well, now it can be a reality. And no, not through illegal means. Come on, people! Omaze is offering the world a chance to win an awesome (indeed, awe-inspiring) date with Mr. Clooney, whilst raising money for the Satellite Sentinel Project — a program that monitors Sudan for potential threats to humanity and war crimes. So here’s the deal: Each entry costs $10. But if you buy entries in bulk, it costs less while increasing your chances to win. Plus, you’re helping the Satellite Sentinel Project keep its lights on. Win-win. The Satellite Sentinel not only raises awareness about the atrocities and ongoing strife in Sudan as well as South Sudan, but it documents them so those responsible can be held accountable with tangible proof. It aims to protect the civilians in the region, who are caught between disputes. Even if you don’t win that chance to kick it with George Clooney, you’re still aiding a worthy cause. OK, a chance like this doesn’t just come around every day. The winner (and a friend) will be flown out to New York and will hangskies with Clooney backstage at Late Show with David Letterman like old pals. Then the winner will have the golden opportunity to hit the red-carpet premiere of The Monuments Men with Clooney dangling off your arm. Let’s not be spoiled here; that sounds like a pretty good weekend to us. The winner and friend will be put up in a sweet hotel in New York (we’re assuming it will have diamond-encrusted toilets), hang backstage VIP style during David Letterman and then hit the red carpet. What is more glamorous than that? Someone will be serving you hand and foot the whole time. If you’re a huge Clooney fan, entering this contest will probably be cheaper than buying that spy system, the tickets to fly out and camp outside his home and that grappling hook launcher you bought online to mosey your way through his bedroom window. Buy a couple of tickets, help a good cause, and steal a lock of Clooney’s hair. Sounds good to us. Come on, it’s a great opportunity, and it’s just $10. Do you think you’ll be entering? Jake Gyllenhaal is single: Who should he date next?